Would you like to help bring peace to the lives of others – and yourself too? To create and maintain a welcoming home and educational facility for all – providing opportunities for finding peace, solace, clarity and inner strength through self-care and compassionate service to others, in order to better cope with and overcome life's challenges, whilst developing a healthy and harmonious relationship to ones self, all living beings and the world around us. As well as being a charity ourselves, we have friends and associates at some of the many other charities in and around Edinburgh who work tirelessly to support vulnerable people such as – victims of domestic abuse; asylum seekers; homeless/unemployed; people with learning disabilities; patients with cancer, diabetes, MS, dementia and other life-threatening illnesses; and at-risk youth. We look forward to expanding our work with these organisations, both through offering our facilities and also initiating partnership projects where we can share our practical knowledge of healing, recovery and personal growth through applying Yoga principles, methods and techniques, which lead people to creating healthier lifestyle choices and positive social experiences – really making a difference in the lives of those who are most vulnerable in our society. 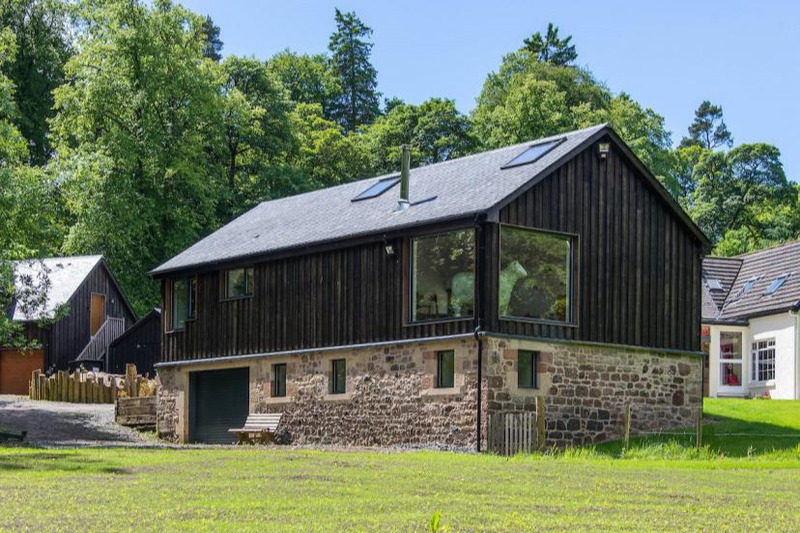 This will be an eco-friendly, sustainable home for our own Yoga in Daily Life retreats, workshops and special events – plus a venue for hire to other health, education, human rights, animal welfare and ecology based organisations and teachers, to share their expertise with their own groups and the general public. There will also be the option to have individual solo meditation/nature retreats, where meals and accommodation will be provided, and it is up to the guest to create their own programme – with the option of making it a silent retreat supported by other residents on the premises respecting and supporting this choice. Some of our own group retreats will also be predominantly silent. 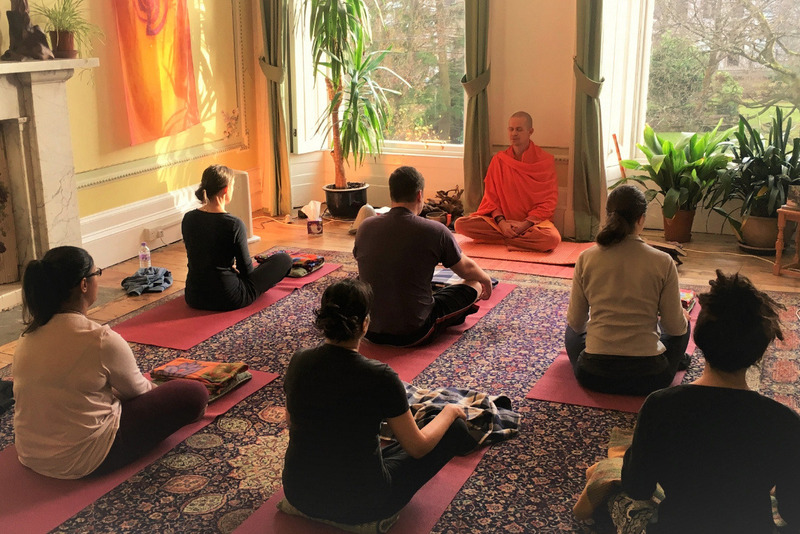 We will have regular weekly yoga classes for the local community and will also continue providing classes in Edinburgh and Glasgow – including gentle restorative yoga classes for seniors and less-abled friends, and progressive yoga, deep relaxation, pranayama breathing and meditation classes for the general public – for anyone who wishes to venture more deeply into learning and practising these simple profound techniques. Surrounded by nearly 2 acres of lawn, the grounds will be transformed into an organic food forest, wildflower meadow and vegetable gardens, designed in line with sustainable permaculture principles, with the aim of eventually providing much of the vegetarian ingredients for our residents, visitors and guests. 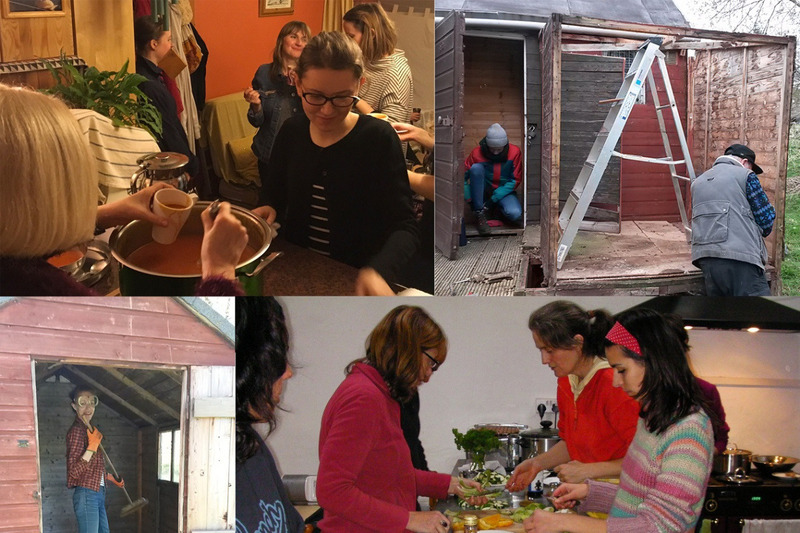 Short term volunteers – our own organised events will be offered at a 50% discount for those who wish to spend 'free-time' periods during the programme as karma yogis, helping in the kitchen, gardens, office and keeping the ashram clean and tidy. Long term resident volunteers – there will also be the option to come and stay for a week, some months or even years, as a long term karma yogi volunteer – contributing a small monetary amount towards board and lodging, and joining in with regular weekly classes, special events, community chanting and meditation, learning hands-on about living a spiritual life in community – maintaining organic fruit and vegetable gardens; vegan/vegetarian cooking; house-keeping; administration; building maintenance; and also sharing and developing your own talents and skills, whilst facing and overcoming personal limitations and fears. All donations will receive the spiritual rewards of a warm heart, eternal gratitude from the organisers, and good karma from the universe! 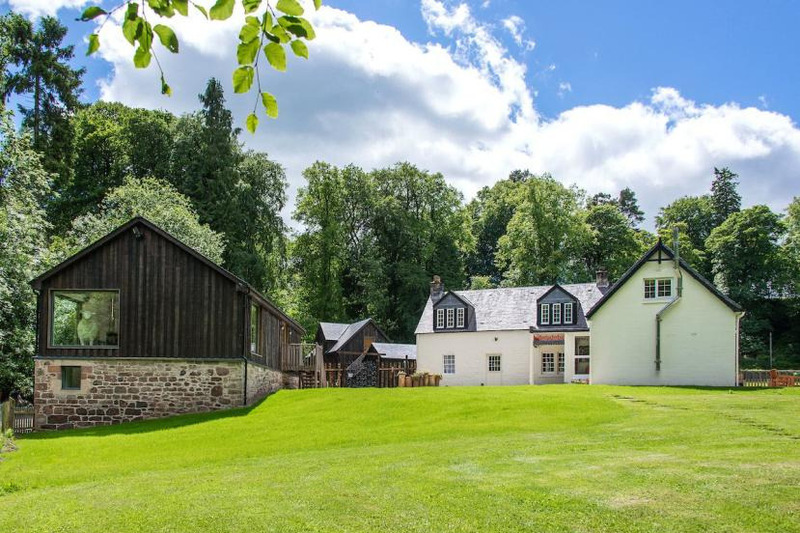 The FREE Weekend Retreat can either be as a participant in our own organised retreat, or per person as an independent solo/couple weekend stay, with board and accommodation in the peaceful Ashram environment. The Retreat Centre will enable us to provide many activities and will give many opportunities for yourself and others to join in. 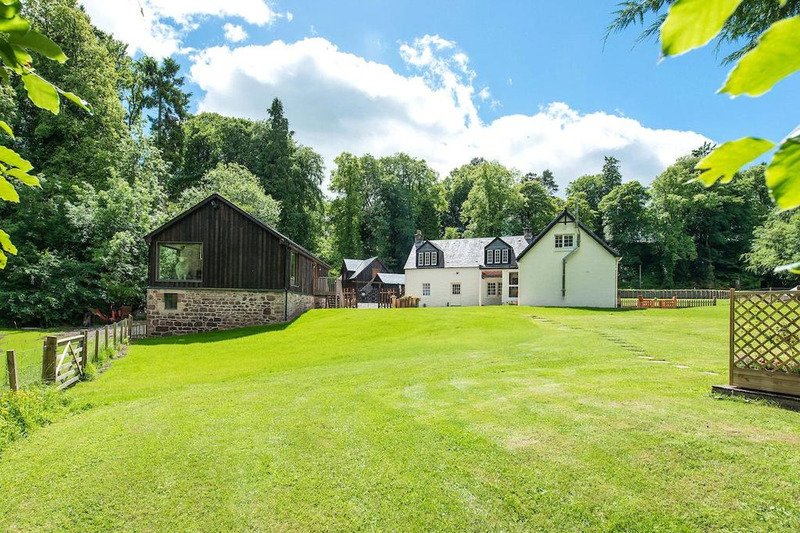 But we need to raise enough funds now to pay a healthy deposit of at least £200,000 and get this project underway – so we can arrange the purchase and exchange of the property in order to move in by the time we have to vacate our Edinburgh home. The more funds we receive as gracious donations from friends here and around the world, the more service and support we can give back to the community, rather than just repaying back to the bank! If you are a UK taxpayer, as a Registered Scottish Charity, we have the Gift Aid option available, so that an extra 25% of your donation can be added to the fund from your income taxes. Just follow the Gift Aid instructions when you make your payment, thank you. YOGA IN DAILY LIFE SCOTLAND is a registered Scottish charity (SC041371) run entirely by volunteers for the benefit of individual, community and environmental health. So it's our yoga teachers, students and friends who are working together as a team in order to help each other and anyone else in the wider community, especially those who are stressed or struggling with life. Drawing endless inspiration from founding author Vishwaguru Swamiji Maheshwarananda, we represent the international system YOGA IN DAILY LIFE® throughout Scotland and are affiliated with the Yoga in Daily Life Association - UK national centre in London, and the International Fellowship of Yoga in Daily Life based in Vienna, which has non-profit member associations operating in 30 countries around the world, including ashrams and humanitarian projects in India. 7. protection and improvement of the environment. Since 2007 we have been dedicated to sharing the benefits of yoga, relaxation, meditation and cruelty-free vegetarian lifestyle with the community in Scotland, offering casual Drop-in Classes, Courses, Satsangs, Workshops, Seminars and Retreats; plus tailored classes for private individuals, as well as classes in care homes, schools, and for corporate and community groups. We also regularly have participants from 'down south' in England come up to take part, and international guests from all over Europe, North and South America, Australia and New Zealand, the Middle East and India. 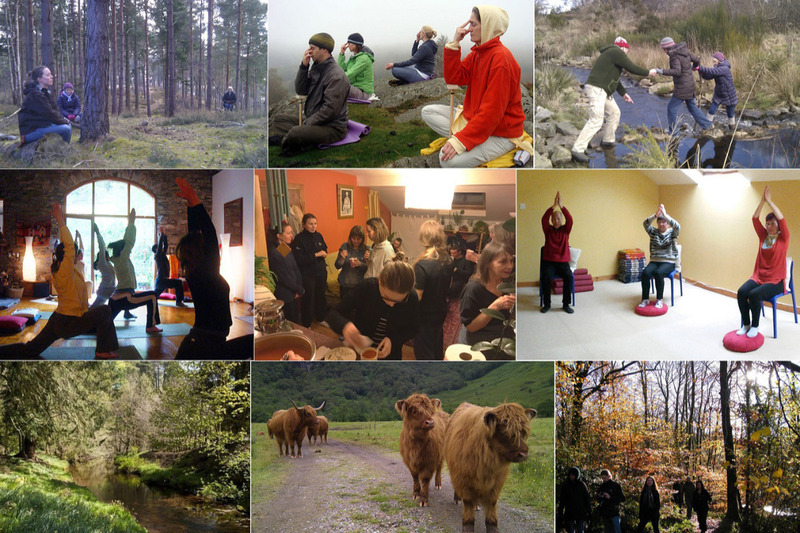 Most of our classes and programmes so far have been held at our wee ashram in Edinburgh and other venues around the capital; we've also been providing regular weekly classes and occasional workshops in Glasgow since 2014; and we've had weekend retreats down in the Lake District, up in the Highlands and in the Scottish Borders. 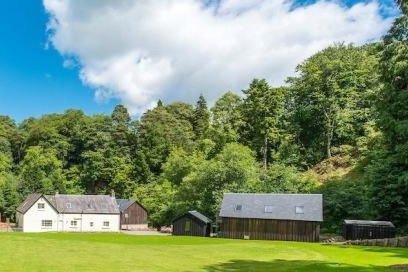 But our wee ashram in town is just that – very small – and now our landlords have other plans for the premises, so the universe has spoken and the time has come for us to expand and enrich the services we offer. An 'ashram' simply means a place where you are 'welcome to work, study, learn and serve' for the good of your own self and the good of all. 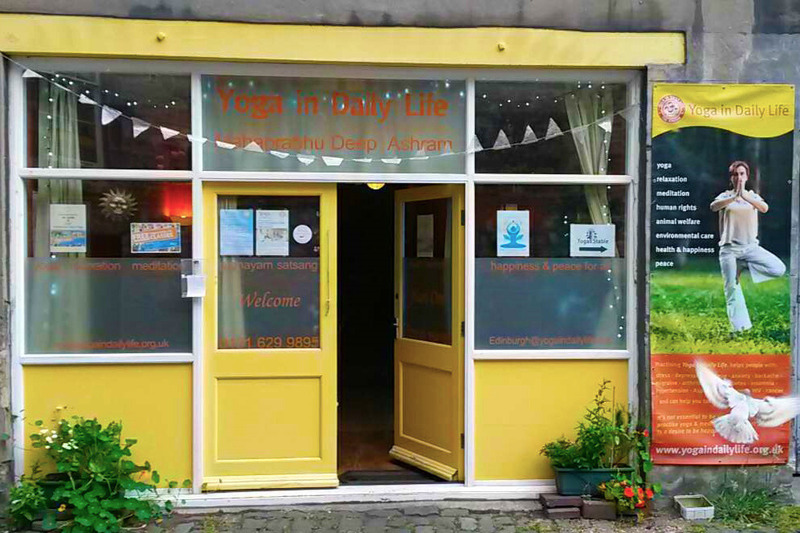 YOGA IN DAILY LIFE - The System® is taught and practised in ashrams and other venues all over the world. It is an authentic comprehensive system which incorporates techniques of deep relaxation (yoga nidra) and systematic progression of physical postures (asanas), breathing techniques (pranayama), self-inquiry meditation, and practical principles from traditional yoga philosophy, to foster greater health, happiness, self-confidence and self-awareness. YOGA IN DAILY LIFE is designed so that anyone of any age, level of fitness or health condition can benefit from the techniques and integrate them into their daily life.